If you’re looking for a non-toxic lightweight foundation with good coverage in time for the summer, you’ll certainly like the latest launch by 100% Pure: The Bamboo Blur Tinted Moisturizer. This wonderful lightweight makeup keeps skin hydrated and supple using fruit and mineral pigments to subtly enhance your natural skin tone. An Instagram filter in a bottle, the 100% Pure Bamboo Blur Tinted Moisturizer offers a divine, soft-focused look by using bamboo silica to make natural light works its magic. The 100% Pure Bamboo Blur Tinted Moisturizer retails for $45. As many of you know, I have a very dry and picky skin. The latest weather patterns haven’t made it exactly happy, so when I started my quest for a lighter foundation in time for the summer weather I set my eyes on this product. I had previously purchased and loved the 100% Pure Bamboo Blur Powder, so having all its benefits mixed with a bit of color was a no-brainer for me. The coverage is actually what I was looking for: Sheer enough to look natural, but pigmented enough to hide my imperfections as a conventional covering foundation. As I don’t need to overwork it on my skin, it doesn’t leave any dry skin flaky patches behind (which is an immense plus!) Plus, it lasts several hours well put without the need to reapply. The finish is soft, supple, and above all, very natural. Paired up with my 100% Pure Bamboo Blur Powder, it really diffuses light and gives a pretty soft-focused look. What I like most about this product is that it lets your skin show through, so I don’t feel like I’m wearing a mask. In terms of pigmentation, it offers a consistent color that spreads extremely well. However, the Peach Bisque shade doesn’t translate well between the 100% Pure Fruit Pigmented Water Foundation and the 100% Pure Bamboo Blur. The latter has more of an orange-y hint that can compliment yellow undertones in the summer, but with my dull skin after a long winter it is a bit too much and I usually mix both products together to get a more accurate shade. To me, this is the second easiest foundation to apply from all the 100% Pure line. The 2nd Skin Foundation can be tricky if you don’t break up the minerals well, and it can cause a bit of flakiness on extra dry skin. The BB Cream is wonderful in all aspects, but it’s denser dense and needs some work. So, if you really are looking for an easy to apply foundation, you should probably check either the Bamboo Blur Tinted Moisturizer or the Fruit Pigmented Water Foundation. If you are looking for a soft-focused finish, the Bamboo Blur Tinted Moisturizer is your perfect product. It really blurs pores/imperfections and works with natural light to show your best skin, while at the same time it doesn’t hide your natural tone. It gives an extremely flattering matte finish to start with a great canvas! In contrast, the 100% Pure BB Cream offers a more glowing coverage with reflective particles. 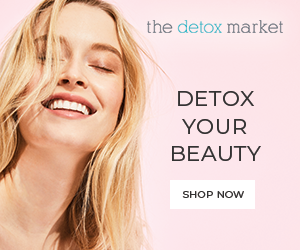 Designed to give you a healthy glow, this is a great option for any low-key person that doesn’t want to spend more than a couple of minutes working her face in the morning. The Fruit Pigmented Water Foundation offers a sheer watercolor-y approach to pigmentation and finish. Conceived as a wash of color, it’s best for those who are looking for a subtle approach to foundation and who are not extremely savvy in the art of blending. Finally, the 2nd Skin Foundation is a wonderful serum that feels like a second skin and has a glowing coverage that is subtler than the BB cream, but still shinier than the Bamboo Blur Tinted Moisturizer. 100% Pure has a perfect foundation for every skin need. 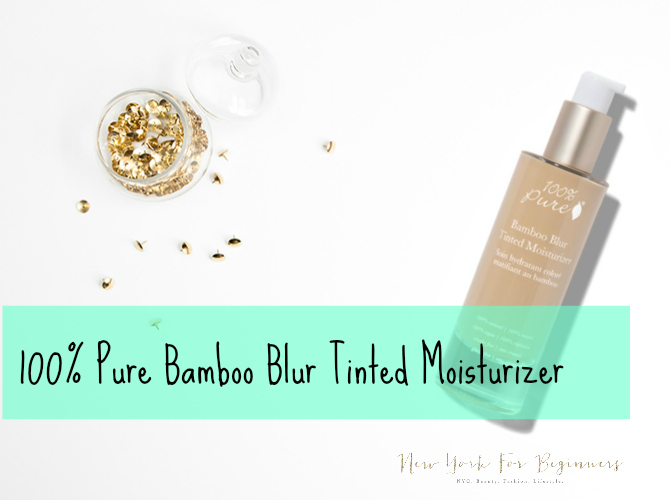 The 100% Pure Bamboo Blur Tinted Moisturizer is excellent for those looking for a lightweight coverage in time for the summer, but who don’t want to sacrifice pigmentation or buildable coverage. If you’re unsure about your exact shade, I’d recommend going to a 100% Pure retailer as in my experience the equivalent shade in other foundations can be misleading. Although the Fruit Pigmented Water Foundation in Peach Bisque gives me excellent results, its Bamboo Blur Tinted Moisturizer has an orange undertone that’s a bit too strong for me. In case of doubt, don’t hesitate to chat with a customer service representative. I have used them as a customer and they are excellent in recommending the right products! As all the products from 100% Pure, this vegan foundation is tinted using pigments extracted from fruits, vegetables, and minerals. Disclaimer Level 1: The author received NO compensation to write this post. 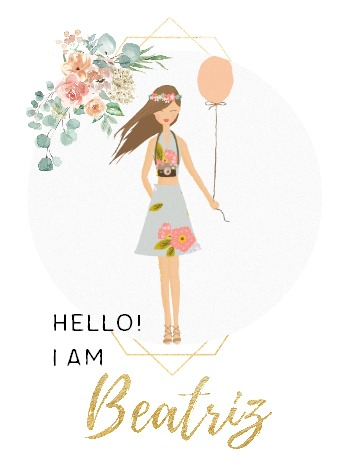 The author received a sample of one of the products featured for editorial consideration. Receiving a sample didn’t influence the decision to feature a brand nor the opinions expressed by the author, and it’s not a payment in exchange for coverage. All links provided in the article are for information only and are not part of any affiliate marketing program.